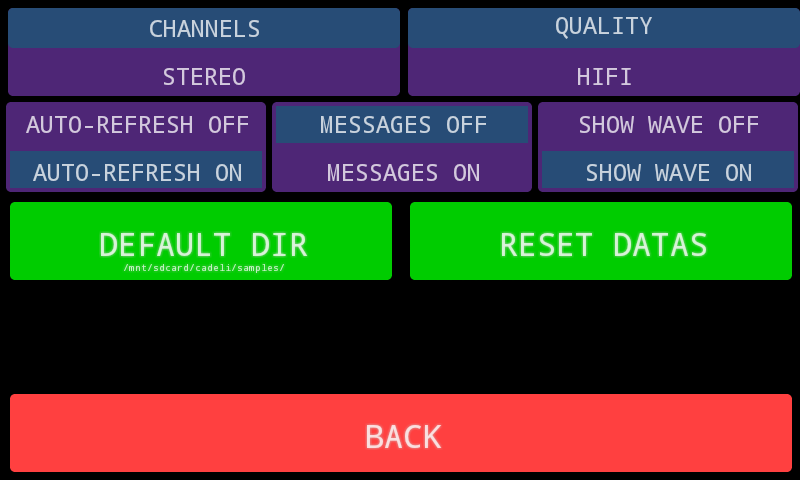 Tap on Cmd button will open (or close) more controls, controls are contextual and depends of the current screen. 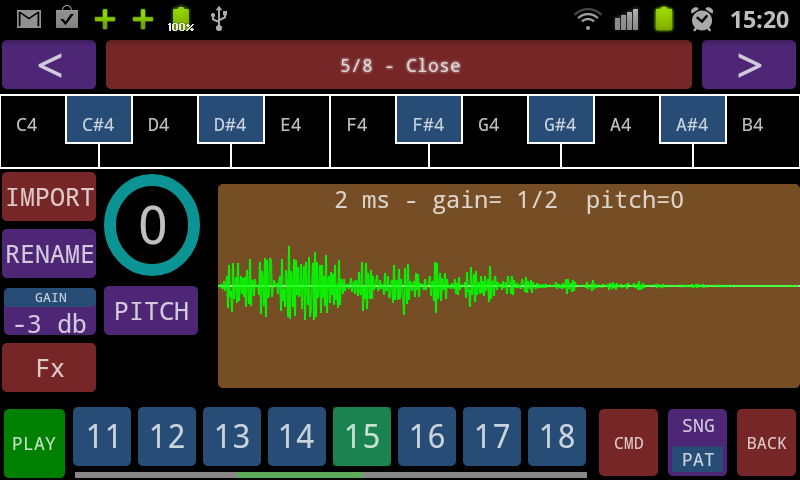 Tap on a step will add a note in the current track, with the pitch corresponding to the line (circular mode: green, blue, nothing). 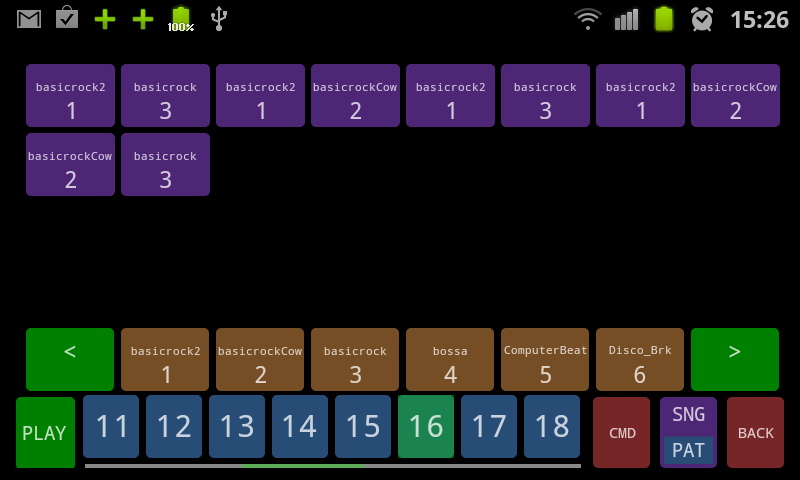 If the app always crash, go to main screen, then 'settings', then 'reset datas' confirm quit the app and restart the app. 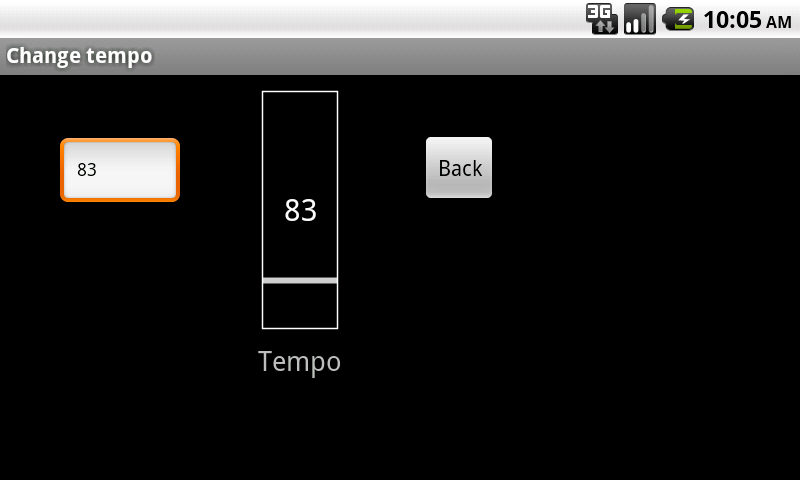 This will erase datas. 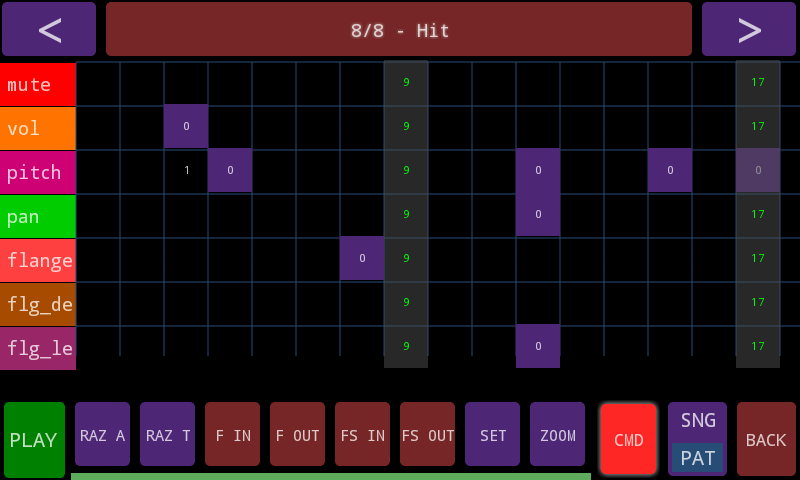 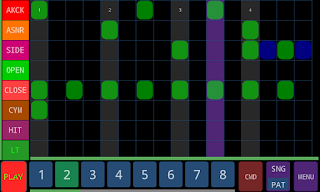 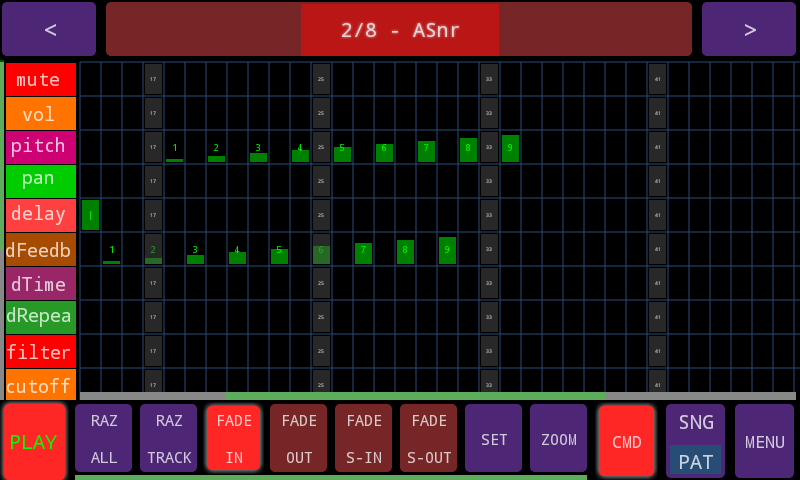 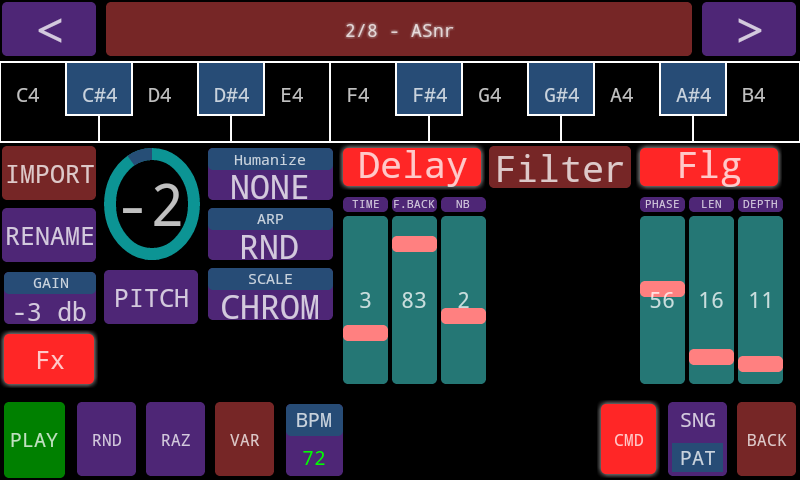 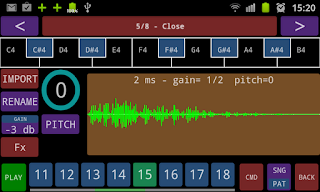 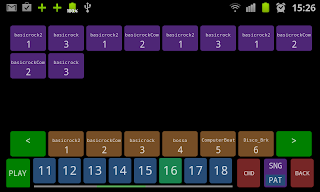 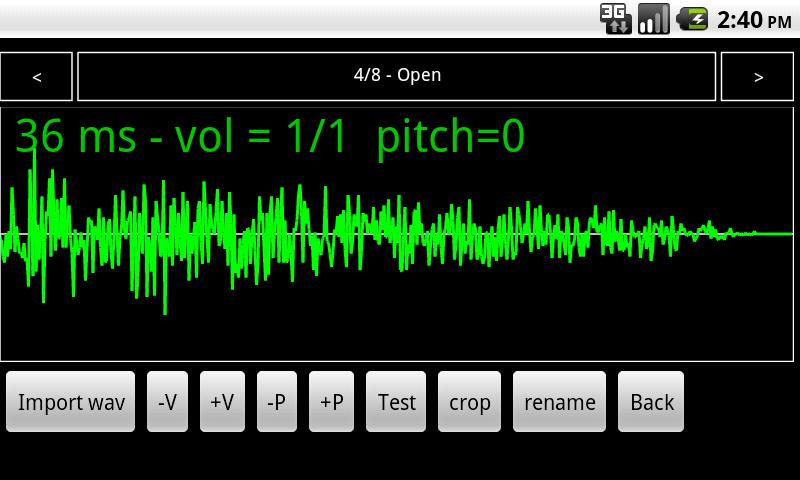 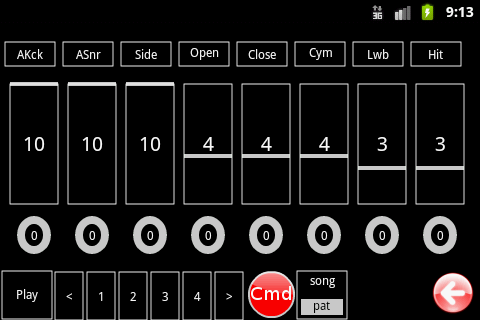 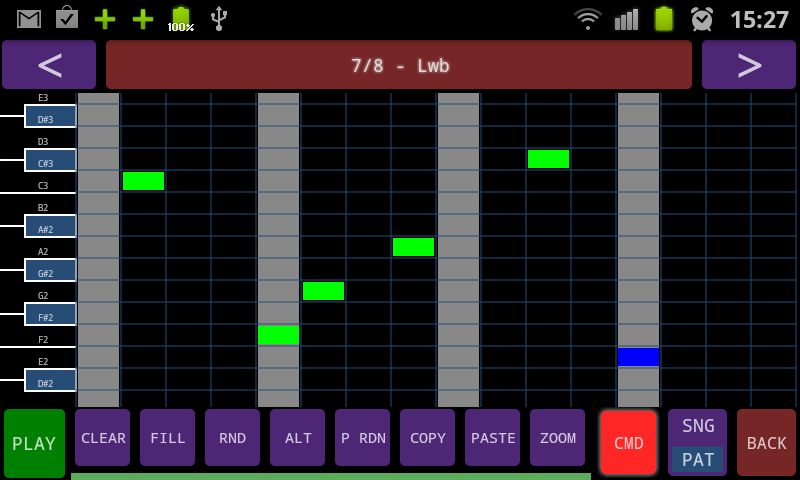 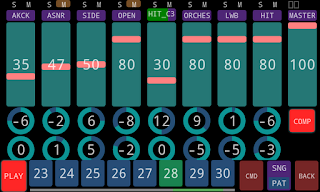 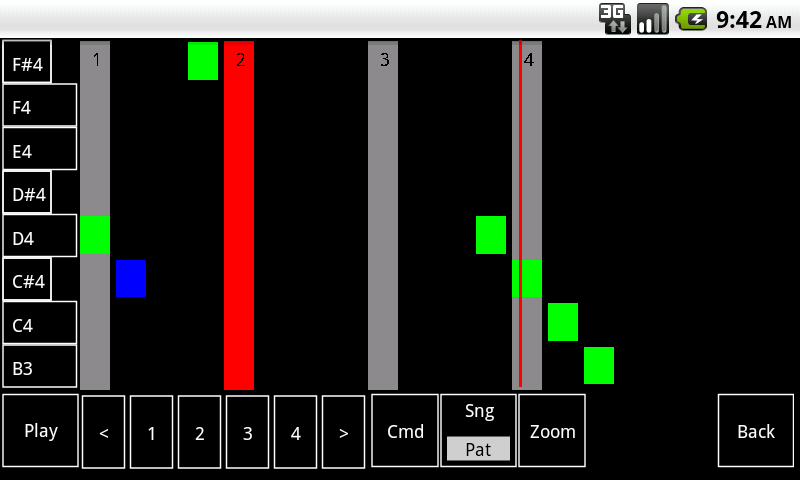 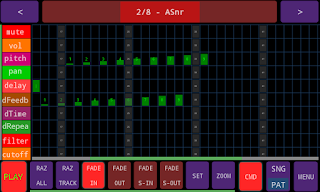 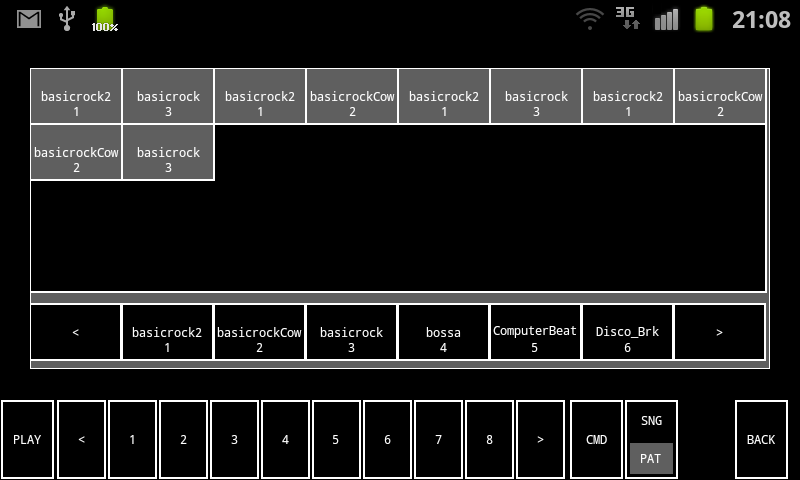 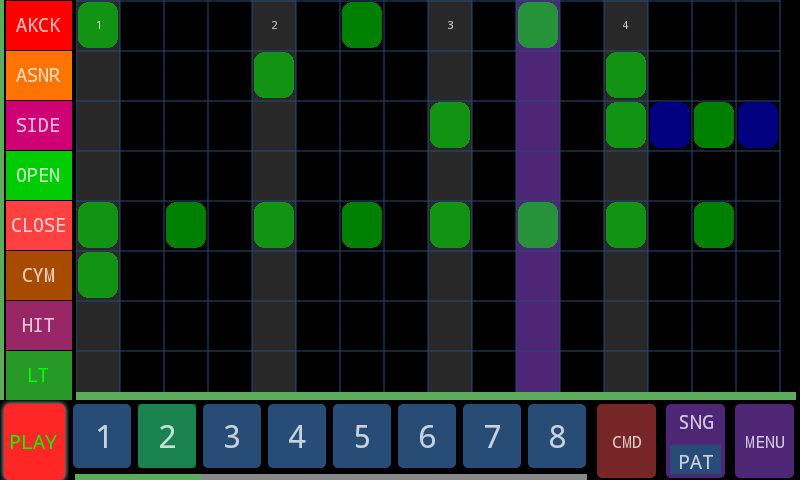 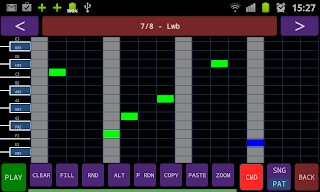 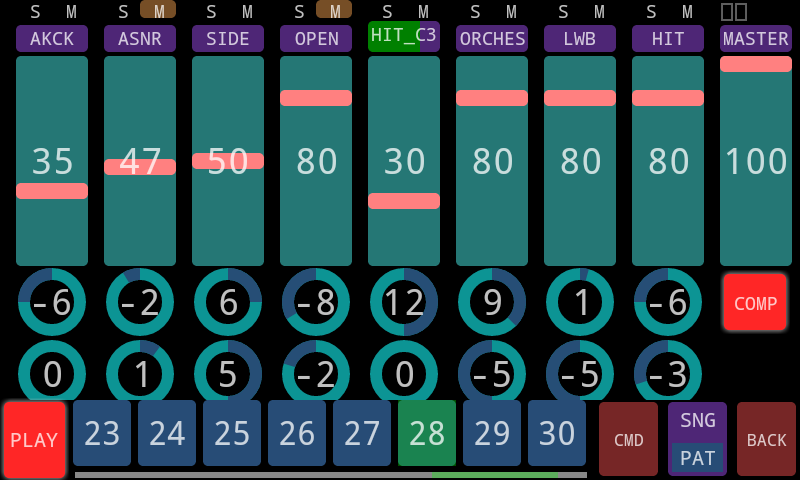 Now, you’ll be able to beta test the Cadeli Drum Machine app for Android. We will use Google’s method of releasing beta versions: Google Groups. 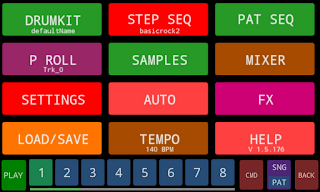 After joining this group : Cadeli Drum Machine , you will be allowed to become a beta tester. 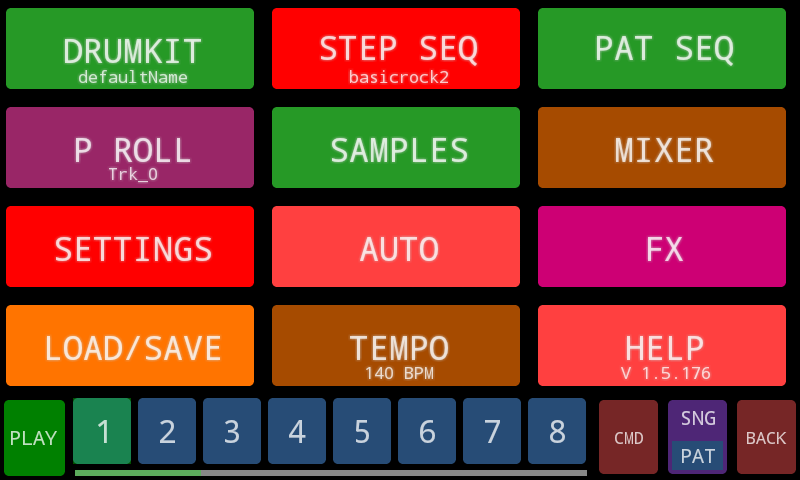 It's free and open. 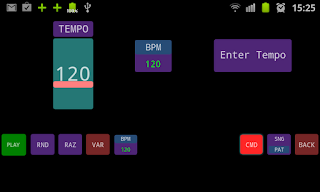 From then on, the beta version of the app will be pushed to you through the Play Store.